Larry O'Toole has been nominated once again as the Sinn Féin candidate in Dublin North-East. 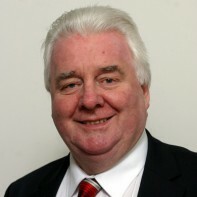 O'Toole's general election record in the constituency has not been impressive thus far as he has failed to win a seat in four previous attempts. At local level, however, O'Toole has been an active member of Dublin City Council since 1999, campaigning strongly on social issues such as housing, healthcare, anti-social behaviour and workers’ rights. In 1998, O'Toole was shot while attending his granddaughter's Holy Communion.